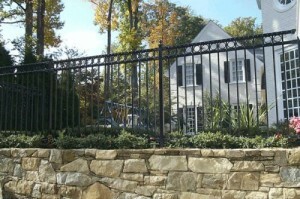 Do you need a residential, commercial, or industrial fence in Richmond, Virginia? If so, you can trust your local fencing company, Hercules Fence of Richmond. We provide fencing solutions for all applications. From picturesque picket fences for your backyard, to strong and low-maintenance aluminum fencing for your business, to heavy-duty fencing for industrial complexes, we do it all. We also provide high security fencing solutions for government and industrial applications to keep facilities safe and secure from threats. To read more about our fencing solutions in Richmond, please navigate to our residential, commercial, and high security pages, where you’ll find detailed descriptions of all our products as well as photo galleries. For all of your fencing needs in Richmond, Hercules Fence of Richmond Va is here for you! This entry was posted on Friday, April 4th, 2014 at 9:17 pm. Both comments and pings are currently closed.